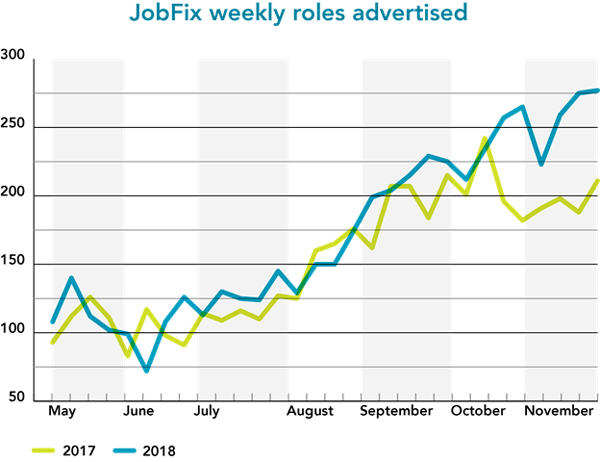 Until October, the weekly trend in Job Posts has followed a similar seasonal trend line, fluctuating some weeks but generally staying on the same track. That changed mid-October when 2018 jobs growth continued at a time when previous years would suggest a tapering of activity. Recently, the Chamber of Commerce conducted a member survey on issues facing business in the region. Unsurprisingly, finding and retaining staff was the biggest issue and then housing them followed closely behind; in October that job market seemed to have gotten a whole lot worse. The number of available positions was a whopping 31% ahead of the same time last year and 8% above October. 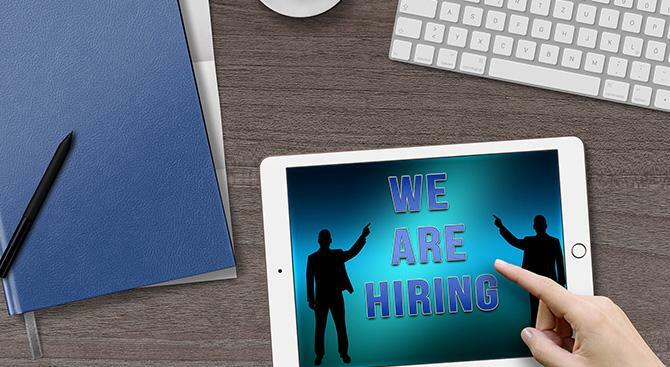 Anecdotally, businesses are reporting that it is taking significantly longer to find qualified candidates and in some cases, we're having staff work double shifts, reduced operating hours or even be in a situation where they were unable to open the doors. Queenstown is becoming known as busy, or full, resulting in scarce accommodation choices and expensive which seems to be shortening the time that some potential seasonal visitors stay here and as a consequence, they are not entering the job market. The opening of Queenstown Central at Five Mile has increased the pool of employers looking for staff - some of the bigger stores have been looking for large numbers of employees. Some of the retailers are paying above the norm to attract staff putting the pressure on other businesses to look at their rates to retain their staff. The Government has changed the immigration visa criteria making it more expensive to employ, especially low-skilled workers. The cost and availability of accommodation for NZers to make a move to Queenstown are unviable especially if a family move is required. The construction sector is a great example. Throughout the country, and especially in Christchurch, there is a slowing in the sector and a pool of workers is available but the cost of moving to Queenstown if workers have a family just isn’t viable, even if they could find somewhere to live. In summary, the number of workers available isn’t growing, while the total number of roles is expanding rapidly. What can businesses do to combat the issue? The conditions are unlikely to change and could actually become worse next year with major new hotels coming online in 2019 along with further retail development in Frankton. Businesses can de-risk somewhat, though not entirely, through offering above-required incentives to staff. Career Advancement - those with talent may stay longer if you show them a path to a better role within the business in the future. Culture - interestingly, the owner-operated businesses have a higher retention rate as staff feel connected to the business and believe their contribution counts. How does your business create that emotional attachment? Salary - to retain staff its no longer enough to pay the basic rate. How are you positioned against your competitors on salaries and incentives?